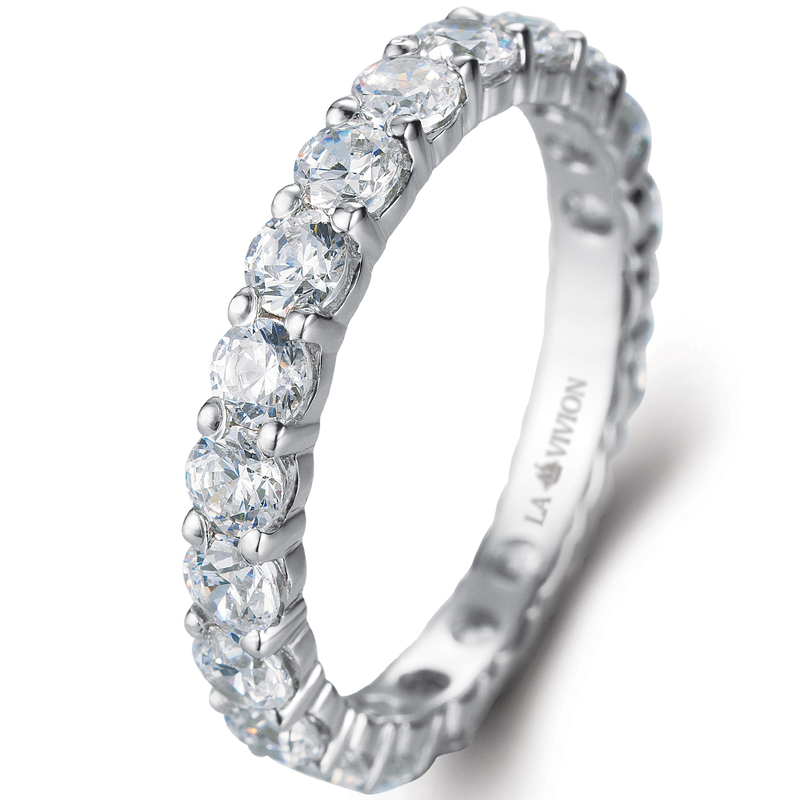 Stunning Eternity ring alll around set with 1.7 - 2.0 carat (depends on the size of the ring) diamonds total weight. The optimal (lowered) ring profile's height is suitable for comfortable everyday life wearing. This ring will perfectly fit most of engagement rings.